However keepers at our client Birdland in Bourton-on-the-Water believed that their king penguin, named Missy, could be even older. Since Flamingo Marketing announced this yesterday – the media interest has been global with coverage from Australia to New York and even Uganda. Missy’s VIP (very important penguin) status has soared as she capitalises on her OAP (old age penguin) popularity. In demand by BBC, ITV, Sky News and CBBC, the Birdland website visitors shot up! She’s also been featured in the nationals – with the images taken by our fabulous photographer Phil from Bournemouth News & Pictures including – Daily Mail, Daily Express, The Times, Independent, Metro and many more,I as well as the regional media including Gloucester Echo. Al and Chris, the specialist Birdland Keepers have been kept even busier than usual providing radio interviews and television filming! 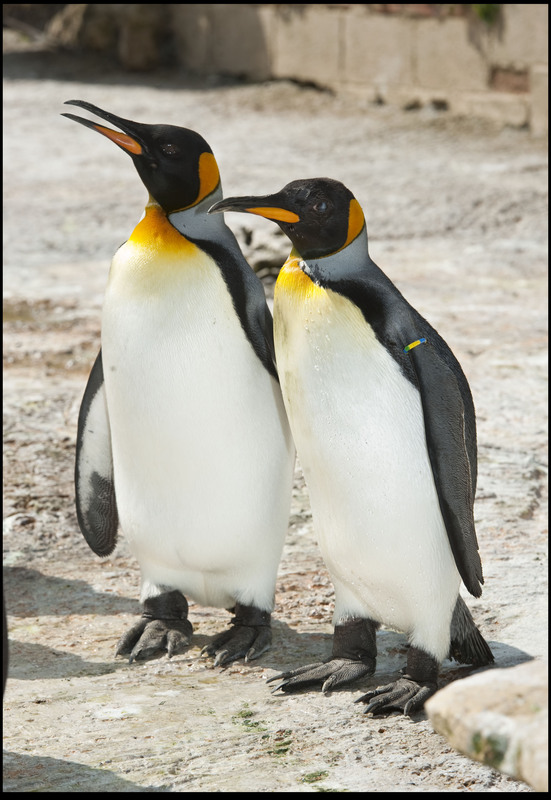 Missy is the matriarch of England’s only colony of king penguins. 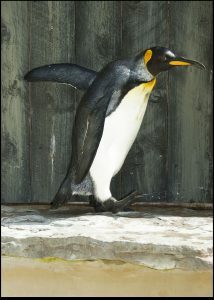 She arrived as an adult at the Birdland park back in 1982. Despite losing the sight in one eye, Missy is still very much a bird to be reckoned with and spends much of her time alongside Seth, her devoted penguin partner of 18 years. 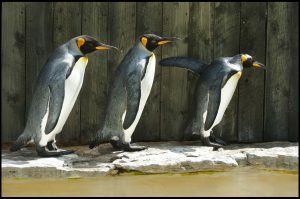 Birdland’s Simon Blackwell said: “Although we cannot categorically age Missy we do know she was an adult when she came to Birdland and king penguins take five years to become fully mature.